We know that current, mass food production cycles and systems are not sustainable and are costing us and our planet dearly. Since beginning our own journey of pursuing sustainable food solutions in 1983, we have chosen a better way, a healthier way, a more sustainable way. Over the past 15 years we have become passionate about giving you that opportunity as well. With these passions in mind we created Desert Lake Gardens. In addition to catering and our Mill St. Café, Desert Lake Gardens offers weekly local & organic grocery delivery. For more information visit the Desert Lake Gardens website. While we are strong advocates of a local, environmentally gentle way of eating, we also want to enjoy the best and most delicious foods. Seasonal, garden fresh, local ingredients ensure not only clean, virtuous meals but also the most flavourful ones, to be enjoyed in the company of friends and community. 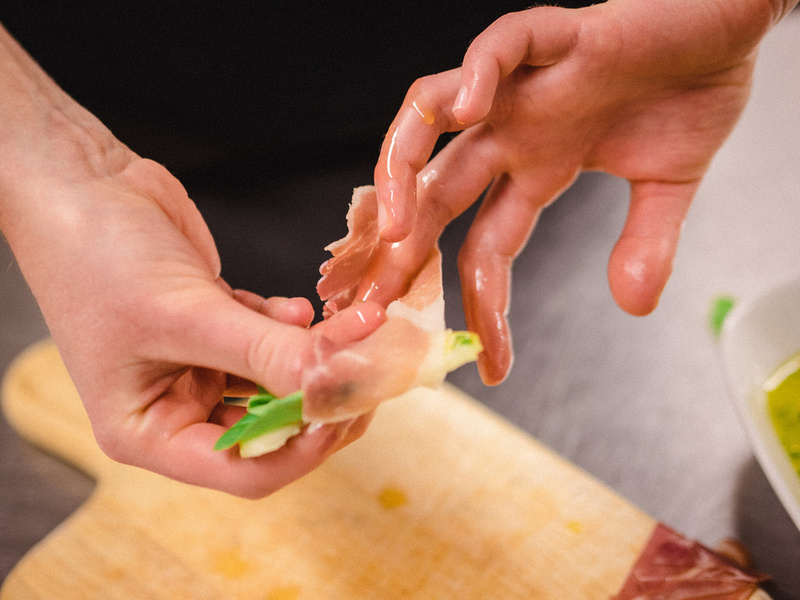 We work hard to create a friendly and welcoming atmosphere, featuring local Kingston area food whenever possible. Sustainably grown and seasonally inspired from local producers and our family farm. Dine amongst a fine selection of local art curated by the Mill Street Gallery. Lunch hours are Tuesday to Saturday inclusive from 11:00am to 3:00pm. Mill Street Café is located at 4400 Mill Street in the village of Sydenham, a twenty minute drive north of the 401 highway. We are directly across from Trousdales, one of the oldest continuously operating general stores in Canada. Our dining room gallery can also be booked for private functions. The menu can be as simple or elaborate as you wish, or simply provide the meeting space. Please call or email to enquire.